I’m a big Instagram fan. I love scrolling down the news feed and seeing all the amazing photos the people I follow post. At least half of the profiles I follow must be about food, mostly they are from other food bloggers. 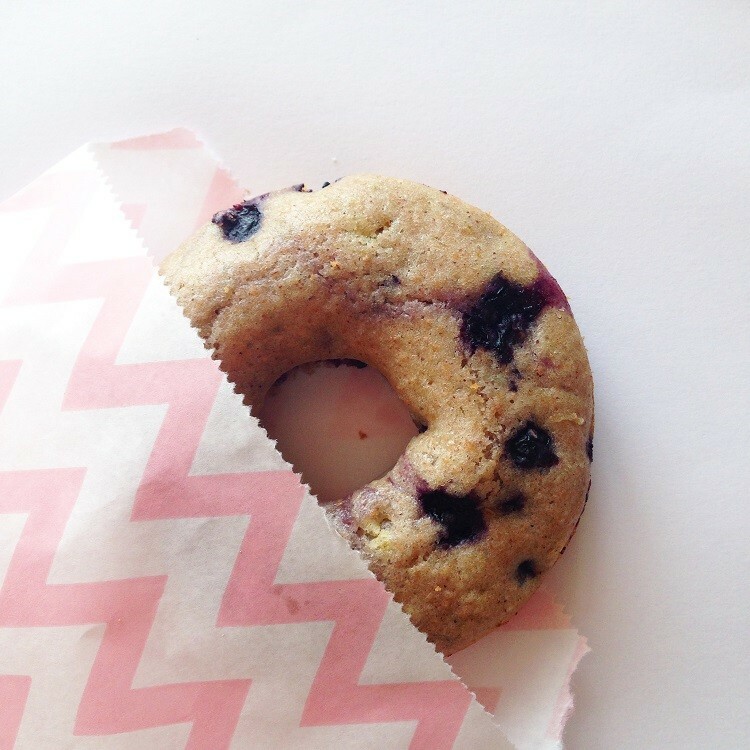 So just the other day when I was doing the usual scrolling around Instagram, I came across a lovely photo of some blueberry donuts by The Faux Martha with a link to the recipe on her blog. Since I just bought a donut baking tray the other day I figured this would be a perfect opportunity to use it. 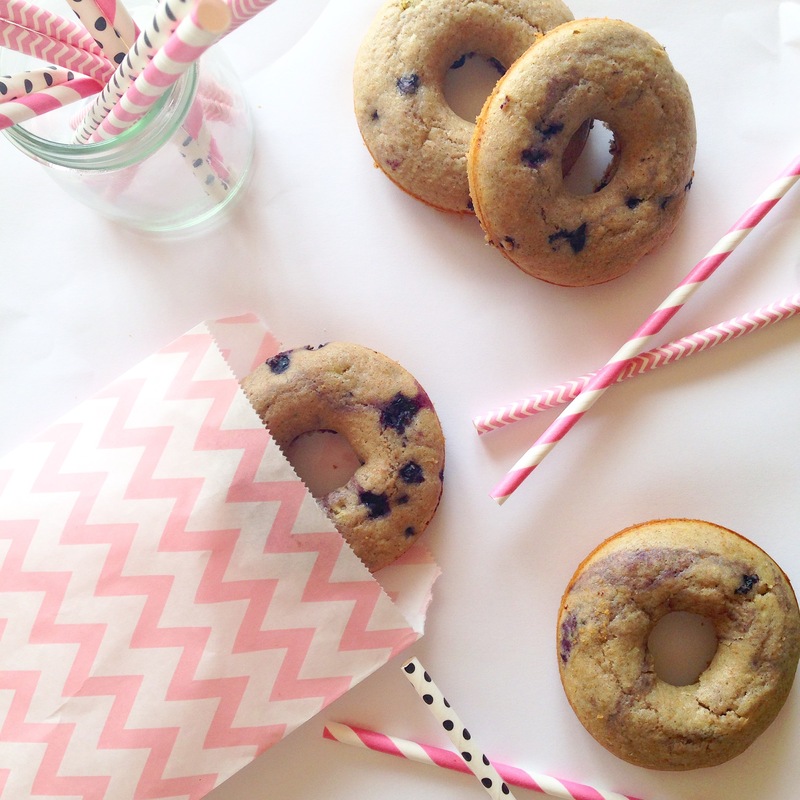 After replacing white flour with spelt flour and regular sugar with stevia in the recipe and taking into account that the amounts used will yield 8 donuts, one such donut contains about 140 calories. Two of these, some Greek yogurt and fruit or a glass of milk, and you have yourself a perfect breakfast. 1. Preheat oven to 205 degrees Celsius. 2. In a small bowl, mix together milk and vinegar. Allow to sit for about 5 minutes to curdle. Melt butter in a small bowl and set aside to cool. 3. Meanwhile, whisk together flours, baking powder, sea salt, cinnamon, and nutmeg in a large bowl. Set aside. 4. Into the cooled butter, whisk in sugar, honey, and egg until evenly combined. Add in curdled milk. 5. Stir blueberries into dry ingredients. Then stir together wet and dry ingredients until just combined. Over-mixing will create a dense donut. 6. Spray donut pan. Add batter to a piping bag and pipe evenly into the pan. 7. Bake for 8 minutes. Allow to cool 1 minute before turning pan over to remove donuts onto a cooling rack.